If you know of any yacht charter boat companies not listed here contact CharterWorld. Nigel Burgess Group, Le Panorama, 57, Rue Grimaldi, Monte Carlo, MC98000, Monaco, (tel) +377 97 97 81 21, (fax) +377 97 97 81 25. E-mail. From the first moment of desire to the very last detail, we have the knowledge and expertise to ensure the smooth running of buying, managing and chartering the finest yachts in the world. Nikos O. Papadakis International Yachts Sales & Charters, 58, Themistokleous Street, 174 55 Alimos, Athens, 17455, Greece, (tel) +30 210 983 63 12, (fax) +30 210 982 79 19. E-mail. North South Vacations, 1809 Barsuda Dr., Mississauga, ON, L5J - 1V3, USA, (tel) 800 387-4964, (fax) 905 822-0673. E-mail. Let us help you plan your next charter yacht vacation to the Caribbean. We provide crewed and bareboat sailing and motor yacht charters based in the British Virgin Islands. North Star Yachting Services, 59, Poseidonos Ave. & 2, Achileos Street, P. Faliron, Athens, 17562, Greece, (tel) +30 210 988 4000, (fax) +30 210 985 9200. E-mail. Since commencing in 1988, North Star have been specialising in all yachting related issues (brokerage, charter and management) and are representatives for Cantieri di Baia, based in Naples Italy. Northrop and Johnson, 1901 S.E. 4th Avenue, Fort Lauderdale, FL, 33316, USA, (tel) 954-522-3344, (fax) 954-522-9500. E-mail. Northrop and Johnson Holding Company, Inc., provides leadership and support to all participating Northrop and Johnson companies worldwide and ensures the integrity of service to all of their clients. NYC Boat Charters, 230 N. 2nd Street, Bethpage, NY, 11714, USA, (tel) 866.393.2628. E-mail. O'Brien Yacht Sales, Inc., 450 Royal Palm Way, Palm Beach, FL, 33480, USA, (tel) (561) 833-9696, (fax) (561) 833-9626. E-mail. Primarily a yacht brokerage. We also offer charter and yacht management services. We specialize in motoryachts ranging in size from 50-200'. Ocean Cruise AG, Centro Commercial Portals C/. Andratx 43, Local 26, Portals Nous, Palma de Mallorca, 07181, Spain, (tel) +34 971 679230, (fax) +34 971 679231. E-mail. A Swiss Company with Head Office near Z?rich and well established agencies in Geneva, Monaco and Fort Lauderdale. We have assisted the owners of large yachts as managers and brokers for many years. Ocean Cruise AG, 1515 SE 17th Street, Fort Lauderdale, FL, 33316, USA, (tel) +1 954 524 9366, (fax) +1 954 524 9320. E-mail. A Swiss Company with Head Office near Z?rich and well established agencies in Geneva, Mallorca (Spain) and Monaco. We have assisted the owners of large yachts as managers and brokers for many years. Ocean Cruise AG, Dufourstr. 65, Zollikon, Z?rich, CH-8702, Switzerland, (tel) +41 1 390 25 75, (fax) +41 1 392 26 88. E-mail. Head Office of a Swiss Company with well established agencies in Geneva, Monaco, Mallorca and Fort Lauderdale. We have assisted the owners of large yachts as managers and brokers for many years. Ocean Cruise AG, 29, Quai du Mont-Blanc, Geneva, CH-1201, Switzerland, (tel) +41 22 908 02 51, (fax) +41 22 908 02 52. E-mail. A Swiss Company with Head Office near Z?rich and well established agencies in Monaco, Mallorca and Fort Lauderdale. We have assisted the owners of large yachts as managers and brokers for may years. Ocean Cruise AG, Le Panorama A, 57 Rue Grimaldi, Monaco, 98000, Monaco, (tel) +377 97 70 38 80, (fax) +377 99 99 98 65. E-mail. A Swiss Company with Head Office near Z?rich and well established agencies in Geneva, Mallorca and Fort Lauderdale. We have assisted the owners of large yachts as managers and brokers for many years. Ocean Cruising Ltd, Ocean Cruising UK, PO Box 47019, London, SW18 1WW, United Kingdom, (tel) +44 (0)20 8874 7124, (fax) +44 (0)20 8875 1793. E-mail. Charter Broker (30 bases worldwide), Yacht Management company (private and charter management in Spain, Greece and UK) and a Yacht Sales company, representing the best modern brands available. Ocean Cruising Ltd, Ocean Cruising Athens, 10 Poseidonos Ave, 16777 Helliniko, Greece, (tel) +30 210 894 7244, (fax) +30 210 898 0277. E-mail. Ocean Cruising Ltd, Ocean Cruising Tenerife, C/ Miraflores Edificio Orquidea, Local 13, 38003 Santa Cruz de Tenerife, Spain, (tel) +34 932 247 701, (fax) +34 932 251 923. E-mail. Ocean Cruising Ltd, Ocean Cruising Barcelona SL, Marina Port Vell, 08039 Barcelona, Spain, (tel) +34 932 247 701, (fax) +34 932 251 923. E-mail. Pacific Yacht Brokers, 5 Masthead Drive, Raby Bay, Queensland, 4163, Australia, (tel) +61 (0) 7 3821 4067, (fax) +61 (0) 7 3821 4067. E-mail. The Pacific Yacht Brokers offer a full service to buyers and sellers, making sure everyone is happy. Pacifica SA, 69, Posidonos Avenue, Alimos, Greece, (tel) +30 210 9880572, (fax) +30 210 9880279. E-mail. Representing Maiora and Benetti, with a brokerage list of large power boats and motor yachts. Partnership, Port de Nice, Quai Amiral Infernet, 06300 Nice, France, (tel) +33 (0)492 00 42 40, (fax) +33 (0)4 92 00 43 71. E-mail. Created in 1993 by Thierry Voisin, who ran a shipyard for 25 years. Today, Partnership offers a group of services, whether you want to charter, build, sell, or manage your yacht, we do it all! Peter Kehoe Yacht Sales, Peter Kehoe Yacht Sales, Sands Harbor Marina, 101 N. Riverside Drive, Suite 123, Pompano Beach, FL, 33062, USA, (tel) (954) 767-9880, (fax) (954) 767-9884. E-mail. Platinum Crewed Yachts, The Port House, Port Solent, Portsmouth, PO6 4TH, United Kingdom, (tel) +44 (0)870 7700 107, (fax) +44 (0)23 9237 2942. E-mail. Owners and managers of selected luxury crewed yachts in the Med and Caribbean. Make your dreams a reality with some of the finest hospitality and the worlds most beautiful locations. Platinum Crewed Yachts, 980 Awald Road, Suite 302, Annapolis, MD, 21403, USA, (tel) 888 772 3502, (fax) 410 280 2406. E-mail. Poseidon Yachting, 384A Avenue Andr? L?otard, 83 600 Frejus, France, (tel) +33 (0)6 61 58 71 26, (fax) +33 (0) 494 533 686. E-mail. A 'full-service' yacht company on the South Coast of France, offering brokerage, charter, maintenance and berth management to yachts and motorboats. Primo Yacht, Quai Du Vieux Port, St. Jean Cap Ferrat, 06230, France, (tel) +33 (0)4 93 76 86 51, (fax) +33 (0)4 93 76 01 99. E-mail. Purcell Yachts, Purcell Yachts, 14000 Palawan Way, Suite A, Marina del Rey, CA, 90292, USA, (tel) (310) 823-2040, (fax) (310) 827-1877. E-mail. Since 1974, Gerry Purcell, owner and broker for Purcell Yachts, has developed an expert knowledge of new and brokerage vessels. Sarah Cahill, 8392 Rambling River Drive, Sanford, FL, 32771, USA, (tel) 888-324-4091, (fax) 407-321-4192. E-mail. Directory of yacht charters, brokers, builders, catamarans, crewed, bareboats worldwide. Offering web design, hosting, marketing of marine related web sites. SB Yachts, Kotnikova 5, 1000 Ljubljana, Slovenia, (tel) + 386 4 164 20 79, (fax) + 386 1 430 14 95. E-mail. Run by Bojan Tavcar, a large brokerage house with a wide variety of used sailing and motor yachts for sale across the Adriatic Sea and rest of the Mediterranean, charter and complete navtic services. Scandinavian Yachts, Inc., Scandinavian Yachts, 40 Mary Street, Newport, RI, 02840, USA, (tel) (401) 846-8442, (fax) (401) 846-7349. E-mail. Yacht brokerage specializing in Scandinavian boats, including Najad, Jonmeri, Swans and Baltics, as well as downeast boats, trawlers and luxury yachts. Scott B. Jones, Intl Yacht & ship brokers, Inc., 1069 Shafter Street, San Diego, CA, 92106, USA, (tel) 619 224.6025, (fax) 619 224.6179. E-mail. Sea Independence SA, 13, Avenue du 11 Novembre, Antibes, F-06600, France, (tel) +33 4 93 34 51 20, (fax) +33 4 93 34 71 59. E-mail. Previously known as dahm International. Offices here, Palma de Mallorca and Munich. Specialized in Brokerage, New Construction, Worldwide Charter, Service & Refit as well as Design & Engineering. Selymar Yachts, Lovcenska 99, Zagreb, 10000, Croatia, (tel) +385 1 4675107, (fax) +385 1 4675107. E-mail. Broker and charter company in Zagreb. Shannon Webster Charters, Inc., 1041 S.E. 17th St, SUITE 215, Ft. Lauderdale, FL, 33316, USA, (tel) 954 524-9309, (fax) 954 524-3911. E-mail. Shannon Webster specializes in fully crewed luxury yacht charters from 55'-400'. Worldwide representation for discerning clientele. 30 years experience.Bonded & insured. AYCA, MYBA, FYBA. Ship Harbor Yacht Brokers, 2201 Skyline Way, Suite 100, Anacortes, WA, 98221, USA, (tel) TOLL FREE 877 772 6582, (fax) (360) 588-8833. E-mail. Ship Harbor Yacht Charters, 2201 Skyline Way, Anacortes, WA, 98221, USA, (tel) 877-772-6582, (fax) 360-588-8833. E-mail. Explore the San Juans Islands with a crewed or bareboat charter. Offering the largest Beneteau Fleet this close to the Islands. Sail or power boat available. Skipper Yacht Services Monaco, Suite N? 7, Block A, 7th Floor, Le Ruscino, 14 Quai Antoine 1er, MC 98000, Monaco, (tel) +377 99 99 88 50, (fax) +377 99 99 88 48. E-mail. S.Y.S. has been created after 34 years of captaining experience with yachts of all types and sizes. Find the yacht of your dreams for purchase, charter or construction. SNO YACHTS (Italy & Monaco), Lungomare Duca degli Abruzzi, 84 int. 865, Ostia Lido (RM), Rome, 00121, Italy, (tel) +39 06 5634 0088, (fax) +39 06 5634 0088. E-mail. The exclusive distributor of Hatteras & Cabo for Italy and Azimut's Motoryachts range for Sardinia. Brokerage Service for new and pre-owned yachts. Additional offices in Monte-Carlo and Porto Cervo. SNO YACHTS (Italy & Monaco), Via della Marina, Porto Cervo Marina (SS), Sardinia, 07020, Italy, (tel) +39 0789 91 456, (fax) +39 0789 91 452. E-mail. SNO YACHTS (Italy & Monaco), 9 Ave. des Papalins, Port de Fontvieille, 98000, Monaco, (tel) +377 97 70 31 36, (fax) +377 97 70 31 37. E-mail. The exclusive distributor of HATTERAS & CABO YACHTS for the Principality of Monaco and France. We also provide CHARTER yachts up to 300 ft. along with a BROKERAGE Service for new and pre-owned yachts. Solent Yacht Charter, Haslar Marina, Haslar Road, Gosport, PO12 1NU, United Kingdom, (tel) +44 (023) 9260 2708, (fax) +44(023) 9252 2515. E-mail. Based in the historic port of Portsmouth and sailing in the safe waters of The Solent. Wide varity of powerboats and yachts available all the year round. Southern Trades Yacht Sales, Charters & Management, P.O. Box 145, Road Town, Tortola, British Virgin Islands, (tel) (284) 494-8003, (fax) (284) 494-8009. E-mail. We specialize in Sales of Caribbean based Charter Yachts, Blue Water Cruisers and Live-aboard Yachts. Sparkman & Stephens, Inc., 529 5th Avenue - 14th floor, New York, NY, 10017, USA, (tel) (212) 661-6170, (fax) (212) 661-1235. E-mail. Yacht brokerage engaging in the practice of naval architecture and insurance. We specialize in the sail and powerboat market. St. Petersburg Yacht Charters and Sales, 500 1st Avenue S.E., Municipal Marina, St. Petersburg, FL, 33701, USA, (tel) 727-823-2555, (fax) 727-821-2555. E-mail. Family owned yacht brokerage and charter business for over 20 years offering services including yacht sales, yacht charters, mobile marine service and stores and supplies. Sta.Eulalia Yachting SL, Urbanisacion Xarc, 07840 Sta. Eulalia del Rio, Ibiza, 07840, Spain, (tel) +34 971 338394, (fax) +34 971 319323. E-mail. Charter of powerboats here in Ibiza, together with moorings, maintenance and servicing. Agents for Sealine in Ibiza. Steve Buckley Yacht Sales and Charters, 1201 River Reach Drive, Suite 519, Fort Lauderdale, FL, 33315, USA, (tel) 954-494-8383, (fax) 954-763-2062. E-mail. Sun Yacht Charters & Sales, P.O. Box 4519, Annapolis, MD, 21403-0519, USA, (tel) 284-494-0619, (fax) 443-482-9470. E-mail. Suncap, Passage du Port, Saint-Tropez, 83990, France, (tel) +33 (0)494 97 11 23. E-mail. A brokerage and charter comnpany in the beautiful port of St.Tropez on the South Coast of France. Thaler's Yacht Charters and Vacations, 400 Coffeetown Road, Easton, PA, 18042, USA, (tel) 610-923-0200, (fax) 610-923-6300. E-mail. The Hinckley Company, LLC, P.O. Box 699, 130 Shore Road, Southwest Harbor, ME, 04679, USA, (tel) (207) 244-5531, (fax) (207) 244-9833. E-mail. Builder of custom and semi-custom yachts, Yacht broker, Charter broker, and Service yards. The Sacks Group Yachting Professionals, 1600 SE 17th Street, Suite 418, Fort Lauderdale, FL, 33316, USA, (tel) (954) 764-7742, (fax) (954) 523-3769. E-mail. The Sacks Group has been in business for over 10 years. We specialize in the marketing of private yacht charters, yacht management, brokerage and new construction. Townsville Yacht & Boat Brokers, P.O Box 1469, Townsville, QLD 4810, Australia, (tel) +61 (0)7 4721 6944, (fax) +61 (0)7 4721 6017. E-mail. Virgin Traders Motor Yachts, P.O. Box 11156, St. Thomas, 00801, Virgin Islands, (tel) 888-684-6486, (fax) 284-495-2526. E-mail. Over 20 late model motor yachts 40-60ft. Vitesse Yachts S.L., Local 71, Puerto Portals, Calvia, 07015 Mallorca, Spain, (tel) +34 971 676011, (fax) +34 971 675930. E-mail. One of the largest Yacht Charter Management companies on Mallorca. Brokerage also available. Weber & Odenwald - Yacht Affairs, Virchowstrasse 3, D-03044, Cottbus, Germany, (tel) ++49 171 4422299, (fax) ++49 89 1488 291452. E-mail. Branch office in Eastern Germany - offering Brokerage, Charter and Management for Exclusive Yachts, as well as Luxury Cruises and outstanding Events. Weber & Odenwald - Yacht Affairs, Vilser Schulstrasse 1a, D-27305, Bruchhausen-Vilsen, Germany, (tel) ++49 171 6457508, (fax) ++49 89 1488 291452. E-mail. Head Office - offering Brokerage, Charter and Management for Exclusive Yachts, as well as Luxury Cruises and outstanding Events. Whittaker Creek Yacht Harbor, Inc., P.O. Box 357, Oriental, NC, 28571, USA, (tel) (252) 249 0666, (fax) (252) 249 2222. E-mail. We can serve you in yacht sales and charters, slip rentals, the Quarterdeck Marine Store and Quarterdeck Marine Services with reliability and integrity. Yacht Charter Boat Brokers and Agents from Around the World. Yacht Charters, 2400 East Las Olas Blvd, Fort Lauderdale, FL, 33301, USA, (tel) 954-720-0780. E-mail. Yacht Marine, Escar, 24, Marina Port Vell, Barcelona, 08039, Spain, (tel) +34 93 221 93 40, (fax) +34 93 221 93 42. E-mail. At Yacht Marine, we take care of everything, so that you can enjoy your free time in a modern port equipped with all the infrastructure necessary to take care of any boat. Yachting International, Via Pindaro, 82 - 00125, Rome, Italy, (tel) +39 06 50913392, (fax) +39 06 50934242. E-mail. Operating worldwide in the Brokerage of selected and high performance yachts. Yachting Partners International, USA, (tel) +1 800 626 0019, (fax) +44 (0)1273 571720. E-mail. Since 1972, a specialist in the care, charter and sale of luxury yacht and powerboats all over the world. Yachting Partners International, Residence De La Mer, 6 Avenue De La Liberation, 06600 Antibes, France, (tel) +33 (0) 4 93 34 01 00, (fax) +33 (0) 4 92 91 70 00. E-mail. Since 1972, a specialist in the care, charter and sale of luxury yacht and powerboats all over the world. Other offices in the UK and USA. Yachting Partners International, 28/29 Richmond Place, Brighton, BN2 2NA, United Kingdom, (tel) +44 (0)1273 571722, (fax) +44 (0)1273 571720. E-mail. Since 1972, a specialist in the care, charter and sale of luxury yacht and powerboats all over the world. Second offices in Antibes and in the USA. #1 Yacht Charters, PO Box 363781, San Juan, Puerto Rico, (tel) 787-766-2651, (fax) 787-765-0015. E-mail. 1-800-BAREBOAT Depot, 15605 SW 92nd Avenue, Miami, FL, 33157-1972, USA, (tel) 1-800-BAREBOAT (227-3262) or 305-253-SAIL (7245), (fax) 305-251-4408. E-mail. Representatives of the largest fleet of sail and power bareboats for charter worldwide, since 1976. 1-800-BAREBOAT (227-3262). Credit cards accepted. 1-800-SAILAWAY Worldwide Yacht Charters, 15605 Southwest 92 Avenue, Miami, FL, 33157-1972, USA, (tel) 1-800-SAILAWAY (724-5292) and 305/253-SAIL (7245), (fax) (305) 251-4408. E-mail. 1,000 yachts (sail and power, with and without crew) for charter worldwide, since 1976. Searchable yacht database with pictures and personalized preference/online inquiry form! 1-800-SAILAWAY Yacht Charter Consultants, 15605 SW 92nd Avenue, Miami, FL, 33157-1972, USA, (tel) 800-SAILAWAY(724-5292) or 305-253-SAIL (7245), (fax) 305-251-4408. E-mail. A & A Turkey Yachting, 79 Ataturk Cad, Bodrum, Mugla, 48400, Turkey, (tel) +90 252 3161868, (fax) +90 252 3162624. E-mail. One of the oldest most respected yacht charter companies in Turkey, specialising in crewed yacht charters, VIP tours, business incentive tours, Motor yachts and traditional wooden gulets. A CharterTime Yacht Charters, 4 Curved Creek Way, Ormond Beach, FL, 32174, USA, (tel) 800-577-0566, (fax) 904-677-3956. E-mail. Yacht charters in Greece, France, Italy, Turkey, Bahamas, Caribbean, New York, New Jersey, Connecticut, Florida, Rhode Island. Parties, weddings, meetings, vacations. A to Sea Yachting Inc., 39 Queen Street, Cobourg, ON, K9A 1M8, Canada, (tel) (905) 377-8224, (fax) (905) 377-8226. E-mail. Enjoy crewed yacht charters for vacations and corporate events - catamarans, sail and motor yachts to 150' in New England, Caribbean & Virgin Islands, Mediterranean, Pacific. A Windward Mark, 361 NW Aurora Street, Port St Lucie, FL, 34983, USA, (tel) 800-633-7900 or 561-340-3952, (fax) 561-336-4408. A Yacht Quest, P O Box 302903, St. Thomas, 00803, Virgin Islands, (tel) 340-777-6378. E-mail. AA Anchors Aweigh, Inc., Suite 532, 800 South Wells Street, Chicago, IL, 60607, USA, (tel) (312) 922-3388, (fax) (312) 939-2643. E-mail. Anchors Aweigh represents most of the yacht charter industry in Chicago. For free we will find the right yacht to fit your event and budget. Above All Else Yacht and Aircraft Delivery, 116 Lake Emerald Drive, Suite 305, Ft. Lauderdale, FL, 33309, USA, (tel) 954-646-7656, (fax) 954-730-8137. E-mail. Achilles Charters, 512 W. Belden #2A, Chicago, IL, 60614, USA, (tel) +301 877 259 2248, (fax) +301 773 832 0679. E-mail. Cruise Greece with a sail or power yacht, skippered or bare-boat charters, Yachts from 27 to 90 feet, flotillas, USA based. Action Sportfishing Florida, 8301 SW 41 Court, Ft. Lauderdale, FL, 33328, USA, (tel) 954 423 8700. E-mail. Fort Lauderdale, Boca Raton, Miami fishing charters. Your full time guide, Captain Ron Mallet has 20 years experience fishing Florida. Inshore/Offshore, light-tackle adventures. Admiral Yacht Charters, 2901 West Coast Highway Suite 180, Newport Beach, CA, 92663, USA, (tel) (949) 646-7800, (fax) (949) 646-8341. E-mail. Admiray Yacht Charters is a full service yacht charter company providing the finest yachts for weddings, corporate and many other functions. Admirality Yacht Vacations, 3700 Villa Olga, St. Thomas, VI, 00802, USA, (tel) 1-800-544-0493, (fax) 340-774-8010. E-mail. Admiralty Yacht Vacations, Villa Olga, Frenchtown, St Thomas, 00802, Virgin Islands, (tel) 809-774-2172, (fax) 809-774-8010. Advanced Finance/Charter Management, Inc., 757 Highway 98 East #14-108, Destin, FL, 32541, USA, (tel) (850) 650-6674, (fax) (850) 650-6674. E-mail. Our advanced owner financing and buyer chartering system may offer tax benefits, a method of sale for larger vessels which are historically hard to finance, a method to speed up the time it takes to sell your vessel, a tax sheltering method of ownership. Adventure Sailing - Maile Charters, PO Box 44335, Kamuela, HI, 96743, USA, (tel) 1-800-726-SAIL (7245), (fax) 1-808-880-9014. E-mail. Sea-tour the Hawaiian Islands in luxury aboard Maile - 50' GulfStar sloop. Enjoy gracious comfort and gourmet food while snorkeling, whale watching and exploring hidden beaches. Adventures A.W.A.Y, 10 Buchanan Drive, Unionville, ON, L3R 4C5, Canada, (tel) +416-626-2929, (fax) +416-626-5234. E-mail. Adventures Afloat, 33282 Ocean Ridge, Dana Point, CA, 92629, USA, (tel) 714-496-9833, (fax) 714-496-0678. Adventures in Paradise Bahamas & Florida Keys Charters, 2630 NE 41st Street, Lighthouse Point, FL, 33064-8064, USA, (tel) 954-941-2554, (fax) 954-788-2666. E-mail. Aegean Cruises, 92 Demokratias str. 175 63 P. Phaliro, Athens, 175 63, Greece, (tel) +30 210 98 49 984, (fax) +30 210 98 49 972. E-mail. Aegean Tourism Recreation Ltd. Broker, 49, Pireos Str, Athens, 18346, Greece, (tel) +30 1 4838 093, (fax) +30 1 4818 077. E-mail. Aeolos Charters, 2, Alamanas & Taxiarchon, 174 55 Kalamaki, Athens, Greece, (tel) +30 210 9851526, (fax) +30 210 9853043. E-mail. A yachting company composed by persons with more than 15 years experience on the Yachting world. We can offer you all types of boats. Also we have one base in Marmaris and Bodrum. Affordable Dreams Yacht Vacations, PO Box 581, Ferndale, WA, 98248, USA, (tel) 360 384-6945, (fax) 360-384-6945. Afroudakis Yachting Luxury Yachting Adventures, 14, Sirinon str. P.Faliro, Athens, 17561, Greece, (tel) +30 210 9883595, (fax) +30 210 9883277. E-mail. Ahoy Marine & Charters, Inc., 1519 Bayview Drive, Ft. Lauderdale, FL, 33304, USA, (tel) 954 564-0199, (fax) 954 563-8828. Ajax Yachts Ltd, 19 Kodrou Street, 152 32 Halandri, Athens, Greece, (tel) 011-301-6850104, (fax) 011-301-6850107. Aladdin Sailboat Charters, 2513 South Cedar, Tacoma, WA, 98405, USA, (tel) (253) 272-5481. E-mail. Alaska Island Voyages, PO Box 542, Petersburg, AK, 99833-0542, USA, (tel) 888-772-8858, (fax) 907-772-4646. E-mail. Custom itinerary yacht charter for Alaska's Inside Passage & Tongass Nat'l Forest. 4-10 guests. Alaskan Cruise At Peapod Charters, P O Box 749, Brookings, OR, 97415, USA, (tel) 250-361-6111. E-mail. Alden Yacht Charters, 1909 Alden Landing, Portsmouth, RI, 02871, USA, (tel) 800-253-3654, (fax) 401-683-3668. E-mail. Alden Yacht Charters books crewed charters on yachts from 50' to 200' in major destinations around the world. ALISEI snc, via Brugnoli 13/g, Bologna, 40122, Italy, (tel) +39 (0)515 50826, (fax) +39 (0)515 50824. E-mail. Alisei snc achieved a leading position on charter by cabin cruises in the Med, Caribbean and French Polinesia. Crewed yachts and bareboats worlwide. France VPM award as "Best agent 1999"
All Aboard Yacht Charters, P.O. Box 436, Union, WA, 98592, USA, (tel) 360-898-7300, (fax) 360-898-7301. E-mail. Allied Yacht Charters - Ches. Mgmt./SailScape Sailing Vacations, 326 First Street, Annapolis, MD, 21403, USA, (tel) (800) 922-4820, (fax) (410) 263-2964. E-mail. Alpha Yachting, 67, Posidonos Ave, Glyfada, Athens, 16675, Greece, (tel) +30 210 9680486, (fax) +30 210 9680488. E-mail. America's Cup Challengers, 10 Elm Meadows, Enfield, CT, 06082, USA, (tel) 860-741-6604, (fax) 860-741-6604. E-mail. American Yacht Charters, Chicago, 8000 West 159th Street, Orland Park, IL, 60462, USA, (tel) (708) 460-7600, (fax) (708) 460-7637. E-mail. Angela's Charter Service, 4018 North Western Ave., Chicago, IL, 60613, USA, (tel) 773-539-2924, (fax) 773-935-2297. E-mail. Ann-Wallis White Charter Yacht Consultants, Box 4100, Annapolis, MD, 21403, USA, (tel) 800-732-3861 or 410-263-6366, (fax) 410-263-0399. E-mail. Since 1974, Ann-Wallis White Charters has specialized in personally inspected crewed charters world-wide. We have particular expertise in pedigreed sailing yachts & classics, in the Caribbean, Eastern Mediterranean, and long voyages for discerning yachtsmen. Aqua Cruise Charters, 2732 NE 15th Street, Fort Lauderdale, FL, 33304, USA, (tel) (954) 566-4561, (fax) (954) 566-2837. E-mail. 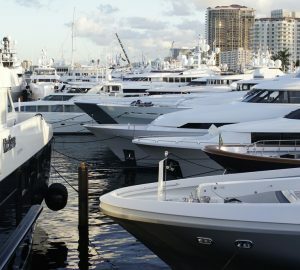 Yacht Connections in Florida, Florida Keys, Bahamas, and the East Coast. AquaSafaris, Inc. Worldwide Charter Yachts, P.O. Box 309, Isle Palms, SC, 29451, USA, (tel) (800) 524-3444, (fax) (843) 886-8199. E-mail. Over 15 years experience. Personally inspected quality vessels: Virgin Islands, Greece, Turkey, Bahamas, Caribbean, Charleston, SC, Mediterranean and South Pacific. Arcadia Yacht Charters, Asarlik Mevkii Asma Sok.19, Bodrum, 48400, Turkey, (tel) +90 252 317 14 50, (fax) +90 252 317 14 54. E-mail. Everything what you are looking for about private yacht charter along the Southwestern coastline of Turkey. Archepelago Sailing Charters, 3808 SE Stiles Rd, Washougal, WA, 98671, USA, (tel) 350-835-1098. Archipels Croisieres, Attn: Francois Profit, BP 1160 Papetoai, Moorea, French Polynesia, (tel) 011-689-56-36-39, (fax) 011-689-56-35-87. Arctic Circle Yachting, PO Box 738, N-8007 Bodoe, Norway, (tel) +47755606424, (fax) +4775560421. E-mail. Bareboat yacht charter in Northern Norway. Aris Drivas Yachting/Greece, 147 Neorion Street, Piraeus, 18534, Greece, (tel) 011-30-1-411-3194 or 413, (fax) 011-30-1-411-4459. Arrow International, 11580 Mitchell Road, Richmond, BC, V6V 1T7, Canada, (tel) 604-324-1333, (fax) 604-323-7426. ATC Group, Attn: Jim Anderson, P O Box 166, Marmaris, 48700, Turkey, (tel) 011-90-252-4123835 or 4126551, (fax) 011-90-252-4126550. Atlantic and Marblehead Sailing Opportunities, 8 Ferry Lane, Marblehead, MA, 01944, USA, (tel) 781-631-5362. E-mail. Atlantic Sportfishing and Diving, 2320 Bayview Lane, Miami, FL, 33135, USA, (tel) (407) 566-8075, (fax) (407) 566-8531. E-mail. Atlantic Yacht Charters, 504 Golf Park Drive, Celebration, FL, 34747, USA, (tel) 407-566-8530, (fax) 407-566-8531. E-mail. Atlantic Yacht Co - Marine Services, 1635 North Bayshore Drive, Suite 102, Miami, FL, 33132, USA, (tel) 305-358-8893, (fax) 305-358-5566. E-mail. Marine Diesel and Gas Service and Repair. Serving Miami and Fort Lauderdale area. Yacht Management and Charters Florida, Caribbean, and Bahamas. Atlantic Yacht Company, 2320 Bayview Lane, North Miami, FL, 34747, USA, (tel) (407) 566-8075, (fax) (407) 566-8531. E-mail. Atlantic Yachting World, 1635 North Bayshore Drive, Miami, FL, 33132, USA, (tel) 305 358 8893, (fax) 305 358 5566. E-mail. Worldwide yacht charters - bareboat and crewed. Atlantis Yacht Charters, P.O. Box 1333, Newport, RI, 02840, USA, (tel) (401) 845-9944, (fax) (401) 846-5633. E-mail. Yacht Charters world wide, bareboat and crewed from small boats to luxury motor yachts. We arrange travel and accommodations along with customizing a great vacation for your crew. Aventure Voyages, 540 St Andrews Road, West Vancouver, BC, V7S 1V2, Canada, (tel) 604 925 0816, (fax) 604 925 0816. E-mail. Bale Marine Group, Horacio #817, Polanco, Mexico, (tel) (525) 545-0964, (fax) (525)545-0964. E-mail. Bareboat Sailing Charters, 68 Fort Adams Drive, Newport, RI, 02840, USA, (tel) 800-661-4013, (fax) 800-661-3984. E-mail. Offer sailing bareboat charters out of Newport, RI, Connecticut and Massachusetts on Beneteau 42' charter sailboats. Yacht charter season: May to October. Barefoot Yacht Charters, P O Box 39, Blue Lagoon, St. Vincent, West Indies, (tel) +809-456-9526, (fax) +809-456-9238. E-mail. Barnstable, AL, USA, (tel) 978-622-4788. E-mail. Bey Marine Corporation, 20 Bellevue Avenue, Rumson, NJ, 07760, USA, (tel) 908-219-8980 or 407-818-3543, (fax) 908-741-1472. Big Blue Yachting, 10 Kronou Street, Athens, 17561, Greece, (tel) (301) 985-0300-1, (fax) (301) 984-4758. Big Play Yacht Charters, FL, USA. E-mail. Yacht charter vacations on luxury holiday motor boat with interactive descriptions of the yacht, water toys and galley. Biscayne Bay Yachting Academy, 1635 North Bayshore Drive, Miami, FL, 33132, USA, (tel) 305-892-9567, (fax) 305-892-9567. E-mail. Specializing in powerboat instruction 35 feet to 45 feet. Located at Biscayne Bay Yachting Center. Hotels and Limo service on property. Florida Keys and Bahamas. Bites-On Salmon Charters, 200 - 1128 Hornby Street, Vancouver, BC, V6Z 2L4, Canada, (tel) 604-729-FISH, (fax) 604-688-9884. E-mail. Blue Sails Yachting, Greece, 24 Omirou Street, Athens, 171 2, Greece, (tel) +30-1-931-7018, (fax) +30-1-933-4203. E-mail. Blue Water Charter, Phuket Island, Thailand. E-mail. Blue Water Cruises, PO Box 1345, Camden, ME, 04843, USA, (tel) (800) 524-2020, (fax) (207) 338-3349. Bareboat and crewed charter vacation specialists. Bluenose Charter Broker sas, Via Ottavio Serena, 33, Bari, 70126, Italy, (tel) ++39/80/5538808. E-mail. Blues Yachting, Iskele Cd. Gocek, Fethiye, Mugla, 48310, Turkey, (tel) +90 252 6452066, (fax) +90 252 6451081. E-mail. Professional Marine services from liferaft services to outboard repairs. Bluewater Adventures, 252 East First Street, Suite #3, North Vancouver, BC, Canada, (tel) 604-980-3800, (fax) 604-980-1800. E-mail. Boateam Ltd Quality Yacht Charters, P.O. Box 8329, Cruz Bay, St. John, 00831, (tel) 284-495-2571, (fax) 284-495-2571. E-mail. Boatz 'n Yachtz, 46 Boulder Drive, Edison, NJ, 08817-3786, USA, (tel) (732) 777-0903, (fax) (732) 777-0904. We are experts in customizing your dream sailing vacation aboard the finest vessels at the best locations around the world. Bob Saxon Associates, 1500 Cordova Road, Suite 314, Ft. Lauderdale, FL, 33316, USA, (tel) 954-760-5801, (fax) 954-467-8909. E-mail. Worldwide charter broker, yacht management and crew placement. Boston Nautical Heritage Group, P.O. Box 379, Stoughton, MA, 02072-0379, USA, (tel) (617) 344-1749, (fax) (617) 344-2463. British Virgin Islands Charter Yacht Society, P.O. Box 3069, Road Town, Tortola, British Virgin Islands, (tel) (284) 494-6017, (fax) (284) 494-6017. E-mail. British Virgin Islands Charter Yacht Society - An association of luxury crewed charter yachts. Monohull, multihull or power yachts; come play with us in paradise. Broward Charters, 1535 SE 17th ST, Fort Lauderdale, FL, 33316, USA, (tel) (954) 763-8201, (fax) (954) 763-9079. E-mail. Yacht charter vacations on Broward Motoryachts in Florida, Keys, Bahamas, New England, Caribbean, Mediterranean, Pacific and the world over located Fort Lauderdale, Florida. BVI Yacht Charters, PO Box 11156, St. Thomas, 00801, Virgin Islands, (tel) 888-615-4006, (fax) 284-494-6552. E-mail. Experienced caribbean charter yacht broker. Offering private caribbean cruises different sizes available for any budget. California Yachting Services, 520 Washington Boulevard, Suite 369, Marina Del Rey, CA, 90292-5442, USA, (tel) 310-391-6652, (fax) 310-397-8763. E-mail. Captain David's Yacht Charters, 87 Commercial Wharf, Boston, MA, 02110, USA, (tel) (617) 742-0676, (fax) (617) 566-7711. E-mail. Captain Nikos Yacht Charter, 14, Taxiarchon Street, Alimos, Athens, GR-174 55, Greece, (tel) +30 210 9858798, (fax) +30 210 9858799. E-mail. Captain Ron's Charters, 14107 Old Hwy 67, Biloxi, MS, 39532, USA, (tel) 228-392-8639. E-mail. Offering the best in offshore and inshore fishing along the Coast of Biloxi,Mississippi. On line booking available at our site or call our office toll free at 1-866-221-1414. Captain Steve's Yacht Charters, Shipyard Quarters Marina, 1 Pier Eight, Charlestown, MA, 02151, USA, (tel) 617-464-1177. E-mail. Captain Steve's Yacht Charters Inc., Waterways Marina, 3601 N.E. 207th Street, Aventura, FL, 33180, USA, (tel) (305) 933-1146. E-mail. Captain's Choice Marine Services, 111 Wellington Street, Orillia, ON, L3V7G4, Canada, (tel) 705 323 9887. E-mail. Former crew members. Serving VFI, USVI and Leawards. Pick the Best of the Best! First hand knowledge of the trade! Also paiting and brightwork for antique and classic boats and cruisers - serving Central Ontario Region. Carefree Yachting Corporation, 3114 Florida Avenue, Miami, FL, 33133, USA, (tel) (305)445-1168, (fax) (305)445-1110. E-mail. Since 1995 Carefree Yachting Corp has been in the yacht maintenance,management,cleaning and delivery buisness.We also offer yachts for charter for any occasion. Careless Yacht Charters, 410 Severn Avenue, Annapolis, MD, 21403, USA, (tel) 410-263-8064, (fax) 410-268-1761. E-mail. Careless is a luxurious 42' Post motor yacht design which can accomidate up to 12 people. Comfort and elegance in a most delightful relaxing setting with her subtle white interior with oriental rugs. Caribbean Connections, P O Box 4065, Sub-Base, St Thomas, 00803, Virgin Islands, (tel) 1-800-417-9374 or 809-494-3623, (fax) 809-494-4744. Caribbean Connections, P O 3069, Village Cay Marina, Roadtown, British Virgin Islands, (tel) 1-800-417-9374 or 809-494-3623, (fax) 809-494-4744. Caribbean Sailing Charters, 3883 Andrews Crossing, Roswell, GA, 30075, USA, (tel) 1-800-824-1331 or 770-641-9640, (fax) 770-992-0276. Caribbean Yacht Vacations, 479 Georgia Way, Point Roberts, WA, 98281, USA, (tel) 800-987-8198, (fax) 360-945-2079. E-mail. CaribSol Yacht Vacations, 56 Houston Terrace, Stamford, CT, 06902, USA, (tel) 800-967-8311, (fax) 203-358-0258. E-mail. Carol Parrott Intl, Inc, 1007 N Federal Hwy, #271, Ft. Lauderdale, FL, 33304, USA. Cass' Marina, 1702 Bridgeway, Sausalito, CA, 94966, USA, (tel) 415-332-6789, (fax) 415-332-5729. Catalina Barefoot Cruises, 1319 West 4th Street, San Pedro, CA, 90732, USA, (tel) (310) 548-1085. E-mail. Catalina Barefoot Cruises has over 20 years experience in the charterboat industry. We have a wide variety of classic wooden sailing vessels including Southern California's tall-ships. Catamaran Take Two Vacations, PO Box 30-6627, St. Thomas, 00803-6627, Virgin Islands, (tel) 340-777-6438, (fax) 340-777-6141. E-mail. CharterWorld.com Yacht Charter Boats, luxury yachts to bareboat worldwide! Charted Memories, 5100 Long Bay Rd. pmb 045, St.Thomas, 00802, Virgin Islands, (tel) 888-619-6920. E-mail. Charter Yacht Brokers Specializing In Luxury Crewed Sailing Charters,In The Virgin Islands. Charter Boat Tampa, P.O. Box 1001, Pt. Pleasant, NJ, 08742, USA, (tel) 1 888-31-TAMPA. E-mail. 60-foot charter boat Tampa VII sailing from New Jersey, fishing inshore and offshore of the Atlantic ocean for up to 49 passengers. Charter Sailing, Unlimited, 175 N. Harbor Drive, Chicago, IL, 60601, USA, (tel) 888-856-8310, (fax) 312-856-1084. E-mail. Charter Services, 5200 Long Bay Road, Yacht Haven, St Thomas, 00802, Virgin Islands, (tel) 1-800-524-6626 or 809-776-5300, (fax) 809-776-7631. Charter Specialists, 1104 Grand Street, Key Largo, FL, 33037, USA, (tel) 800-479-9054, (fax) 305-852-6147. E-mail. Charter Turkey, P.O. Box 244, Marmaris, 48700, Turkey, (tel) +90 252 4136753, (fax) +90 252 4110790. E-mail. Charter Vessels of the Pacific, 430 Hookahi Street #15B, Wailuku, HI, 96793, USA, (tel) 808-242-8988, (fax) 808-249-0898. E-mail. Specializing in Coast Guard certified passenger vessels, sail and power for whale watching, diving, snorkeling, dinner cruise, fishing and sightseeing. Charter Yacht Broker's Association, (tel) 1-800-580-0188. Charter Yacht Sailing Co., Ltd, 1-11 M5, Thepkrasattri Rd, Koh Kaew,, Phuket, 83200, Thailand, (tel) 661-8931362, (fax) 66 76 248144. E-mail. Largest fleet of bareboats and crewed yachts available in Phuket, Thailand for private charters to the exotic islands of the Andaman Sea between Phuket and Langkawi at LOW rates. Charterboat Center, The, 6300 Estate Smith Bay, St Thomas, 00802, Virgin Islands, (tel) 809-775-7990, (fax) 809-775-7990. Chelsea Yacht Charter, P.O. Box 10, Chelsea, NY, 12512, USA, (tel) 914 831 9510, (fax) 914 831 0134. E-mail. Chelsea Yacht Charters is a full service world wide yacht carter brokerage. We specialize in personal service to a limited clientele. We offer personal knowledge of areas, yachts, and crew. For that special level of service, call Chelsea Yacht Charter. Chesapeake Bay Adventures, 1934 Lincoln Drive, Suite B, Annapolis, MD, 21401, USA, (tel) 410-268-4298, (fax) 410-268-4299. E-mail. Chicago Bareboaters Club Ltd, 2614 Princeton Avenue, Evanston, IL, 60201, USA, (tel) 1-800-767-8760 or 708-328-8760, (fax) 708-328-8774. Chinook Yacht Charters, 8684 Dudley Street, Aurora Harbor, Juneau, AK, 99801, USA, (tel) 1-800-810-2234, (fax) 1-800-810-2234. E-mail. CK Leasing Corp, PO Box 2158, Port Washington, NY, 11050, USA, (tel) 800-577-0566, (fax) 516-767-2246. E-mail. Club Voyages, 43 Hooper Avenue, Atlantic Highlands, NJ, 07716, USA, (tel) 732-291-8228, (fax) 732-291-4277. E-mail. Comesailing.com, 1650 Sacramento Street Suite 200, San Francisco, CA, 94109, USA, (tel) (877) 229-7245, (fax) (877) FAX-SAIL. E-mail. San Francisco's only one call access to all charter yachts and boating activities. Charter yacht inspection services and water taxi. Compass Rose Marine, 408 Gibraltar Road, Reading, PA, 19606, USA, (tel) 800-382-5025, (fax) 610-370-0943. Condo Yacht Charters, 4718 Winnifred St., Burnaby, BC, Canada, (tel) 644-1416. E-mail. Consumers Marine Electronics, P.O. Box 1319, Wall, NJ, 07719, USA, (tel) (800) 332-2628, (fax) (800) 551-0697. E-mail. Consumers Marine Electronics, sells hundreds of marine electronics at discounted prices, from average boats to the commercial industry. Contact Turkey Yachting & Travel, Barbaros Cad. 45, Yat Limany, Marmaris, 48700, Turkey, (tel) +90 252 4136313, (fax) +90 252 4135673. E-mail. Corail Caribes Gestion, 4, Centre Commercial, Marina Bas du Fort, Pointe a Pitre, 97110, French West Indies, (tel) 590-90-91-13 or 590-85-47-10, (fax) 590-90-90-58. Cox Marine, 15 Goodwin Street, Newport, RI, 02840, USA, (tel) (401) 845-9777, (fax) (401) 845-2666. E-mail. Cox Marine, founded by ex Publisher of YACHTING magazine specializes in the retail charter sales of crewed yacht charters and management of a fleet of boats 50' & above. Creative Charters Inc., 311 North Andrews, Plantation, FL, 33330, USA, (tel) (954) 680-6627, (fax) (954) 680-6634. E-mail. Crewed Charters, 5100 Long Bay Road, St. Thomas, 00802, Virgin Islands, (tel) (800) 522-3077, (fax) (809) 776-4811. E-mail. Cross Eagle Charters, 44, Korai Street, Athens, 163 46, Greece, (tel) +30-1-9955474, (fax) +30-1-9934949. E-mail. Yacht Charter Company in Greece. Quality sailing yachts bareboat, motor sailers, motor yachts for best sailing vacations in Greece. Cruise Belize, 3415 West End Avenue, Nashville, TN, 37203, USA, (tel) 800-371-7475, (fax) 615-292-9833. E-mail. Cruising in Paradise Inc, 31 Empress Pines Drive, Nesconset, NY, 11767, USA, (tel) 1 800 874 2584, (fax) 1 631 471 7315. E-mail. Luxury Private Yacht charters worldwide, Sailing and Power. Charter the Historic Sea Cloud. Cruise the Rivers of Europe aboard Luxury River Boats. Yachts available for groups and incentive programs. Cruzan Lady Charters, 29 Orange Grove, St. Croix, Virgin Islands, (tel) 800-457-7411, (fax) 340-778-8193. E-mail. Charter Yacht broker agency specializing in sailing and motor yacht crewed charters in the Caribbean. We also offer a full-service travel agency. Customized For You, Inc, 4733 Truscott Road, Charlotte, NC, 28226, USA, (tel) 1-800-865-9909 or 704-543-9733, (fax) 704-543-0786. Defasio Tours CA, Ave 4 De Mayo c/o Ave Stgo. Martino, Ed. silcat, Porlamar, Nuaesparta, 6301-009, Venezuela, (tel) +58-95-642811, (fax) +58-95-640064. E-mail. Designer Events, 3419 Via Lido, Suite 625, Newport Beach, CA, 92663, USA, (tel) 800-291-3854, (fax) 949-644-6362. E-mail. Diamant Croisieres, Avenue de L'Imperatrice Josephine, Trois-Ilets, Martinique, French West Indies, (tel) 011-596-68-39-72, (fax) 011-597-68-38-74. Dreammaker Charters, #20 Plaza Las Glorias, Cabo San Lucas B.C.S., Mexico, (tel) 01152 114 37266, (fax) 01152 114 37266. E-mail. Dreammaker Charters is located in the marlin capital of the world. Boats available from 22 ft. to 86 ft. With professional English-speaking crews. Easy Yachting, 1 Achilleos Street, P. Faliro, Athens, GR-175 62, Greece, (tel) 30 1 9853083, (fax) 30 1 9853083. E-mail. Yacht Charter company operating throughout Greece with own fleet of sailing yachts built in 1996, 1999, 2000. Also crewed yacht charters of motoryachts, motor sailers, sailing yachts. Ed Hamilton & Co., 28 Nilsen Lane, Whitefield, ME, 04353, USA, (tel) 1-800-621-7855 or 207-549-7855, (fax) 207-549-7822. E-mail. Efploia Broking & Consultancy, 111 Filonos street, Piraeus, 18535, Greece, (tel) +30 10 42 83 470, (fax) +30 10 42 83 474. E-mail. We charter pleasure yachts always respecting the fact that holidays is a precious part in people lives. We also offer special services for yachts and merchant vessels. El Primero Enterprises, General Delivery, Victoria, BC, V8W 2L9, Canada, (tel) 250-384-1893, (fax) 250-384-1893. E-mail. Elektronik Bilgi Bilgisayar Ltd. Sti., Hak is Hani 19/40, Bahariye Cad. Kadikoy, Istanbul, 81300, Turkey, (tel) +90 216 4490392, (fax) +90 216 4490392. E-mail. We list yachts in Turkey and Greece that can be chartered directly from the boat owner or broker. It is possible to check the availability of any boats/yachts and make reservations online. Elite Yacht Charters, Elite Yacht Charters, 468 N. Camden Drive, Suite 200, Beverly Hills, CA, 90210, USA, (tel) (310) 552-7968, (fax) (310) 553-2551. E-mail. Luxurious private yacht charters ranging from 50' to over 300'. Over 10 years experience. Confidentiality, customized service and discretion are assured. Entertainer Charters, P.O. Box 3262, Annapolis, MD, 21403, USA, (tel) 410-263-9700, (fax) 410-263-9030. E-mail. The Entertainer is a 61' Hatteras motoryacht perfectly suited for an elegant dinner for 12 or a casual decadent buffet for 49 guests. Conduct business with your clients, visit with family or friends. Escale Yachting, Thisseos 4, Syros, 84100, Greece, (tel) +30 281 86184, (fax) +30 281 86186. E-mail. Yacht charter in Greek Islands. Bareboat, sailing, cruises, scuba, flotilla sailing, repair, maintenance and yards, deliveries. Escape by Sail, 212 Laurel Street, Suite 208, Santa Cruz, CA, 95060, USA, (tel) (800) 853-2200, (fax) (408) 460-1728. E-mail. Ever Onward Inc, 1412 SW 18th Court, Ft. Lauderdale, FL, 33315, USA, (tel) 800-585-9847, (fax) 954-524-7974. E-mail. Excalibur Yachts, Inc., PO Box 623, Leonardtown, MD, 20650, USA, (tel) 301-475-3106, (fax) 301-475-2192. E-mail. Executive Get-A-Way Yacht Charters, 6418 La Costa Drive, Suite 203, Boca Raton, FL, 33433-6622, USA, (tel) 561-361-8326 or 1-800-636-1357 (U.S & Canada), (fax) 561-393-1259 (1,#,1). E-mail. Explore Yacht Charter, "Spirit of Obsession", Bahia Los Piratas, Hiragote, Edo.Miranda, Venezuela, (tel) +58-14315859, (fax) +58-25722564. Fantasea Yacht Charters, 4215 Admiralty Way, Marina Del Rey, CA, 90292, USA, (tel) 310-827-2220, (fax) 310-827-7453. E-mail. Fert Yachting, 2 rue Fendt, Geneva 2, CH 1211, Switzerland, (tel) 41-22-730-4781, (fax) 41-22-733-1950. Florida Keys/Bahamas Bareboats, 504 Golf Park Drive, Celebration, FL, 34747, USA, (tel) 407-566-8075, (fax) 407-566-8531. E-mail. For Yachts International, 7495nw 53rd ST, Lauderhill, FL, 33319, USA, (tel) 800-4-YACHTS, 954-742-0054, (fax) 954-742-0750. E-mail. Specializes in bareboat and crewed charters in Florida/Bahamas. Worldwide charters. Power and sail. Yacht management. FrenchWaterways, 2820 Shearwater Cove, Virginia Beach, VA, 23454, USA, (tel) 757 498 3920, (fax) 707 215 6811. E-mail. Luxury Hotel Barging in France. Toll Free in the US (866) 498-3920 (outside of the US 1 757 498-3920). Fun Seakers Charter and Camping, 1119 Shavington St., North Vancouver, BC, V71 1K7, Canada, (tel) +604-985-3992. E-mail. Fun-N-Sun Yacht Charters, P.O. Box 380220, Port Charlotte, FL, 33938, USA, (tel) 941 429 8251, (fax) 941 429 0491. E-mail. We provide luxury sailing and motor yacht charters worldwide. Come aboard and let us provide you with everything needed to ensure your voyage will exceed your greatest expectations. Fun-N-Sun Yachts, FL, USA, (tel) 1 888 603-3777. E-mail. We Specialize In Luxury Yacht Charters For Corporate Hospitality in Florida Keys - Bahamas - Caribbean and beyond the horizon. Funshine Tours GmbH, Gutenbergstrasse 4, Karlsruhe, 76135, Germany, (tel) +49 721 985 03 08, (fax) +49 721 985 03 82. E-mail. G.H. Brewer Ent., Inc. Yacht Charters Worldwide, 5 North 501 Leola Lane, St. Charles, IL, 60175, USA, (tel) 800-635-2939, (fax) 630-377-8533. E-mail. G.P.S.C. Charters, Ltd., 600 St. Andrews Road, Philadelphia, PA, 19118, USA, (tel) (800) 732-6786, (fax) (215) 247-1505. GalaxSea Yachts Inc., 757 S.E. 17th Street, PMB 714, Ft. Lauderdale, FL, 33316, USA, (tel) 954-462-6949, (fax) 954-462-6841. E-mail. We are a yacht charter company also providing full service travel consulting, and all entertainment needs. Gilman Yachts Charter Division, 1212A US Highway One, North Palm Beach, FL, 33408, USA, (tel) 561-626-1790, (fax) 561-626-5870. E-mail. Global Yacht Charters, 61 Woodland Drive, Tequesta, FL, 33469, USA, (tel) (888) 758-0007, (fax) (561) 575-9426. E-mail. Golden Reel Fishing Charters, 12325 Harriet, Swanton, OH, 43558, USA, (tel) 419-825-5085. E-mail. We fish on Lake Erie near Toledo, Ohio. Our season is from April to October. Walleye, Smallmouth Bass, and Perch. Groups from 2 to 6 people. Good Time Charters, 375 Bonesteel Street, Rochester, NY, 14616, USA, (tel) 716-865-2766. GPSC Charters, Ltd., 600 St. Andrews Rd., Philadelphia, PA, 19118, USA, (tel) 215-247-3903 or 800-732-6786, (fax) 215-247-1505. E-mail. Grand Escape Charters, 17 King Street, Scarborough, ME, 04074, USA, (tel) 207-883-9643. E-mail. Grand Banks 36 trawler for charter in Maine, New England, Florida and the Bahamas. Grand Yachts Northwest, Squalicum Harbor, 2623 S. Harbor Loop, Bellingham, WA, 98225, USA, (tel) 800-826-1430, (fax) 360-676-9059. E-mail. For a memorable charter vacation in the San Juans, Canadian Gulf Islands or Desolation Sound - we can tailor a cruise to your specific interests. Grande Nellie Charters, 1408 South Outer Drive, Saginaw, MI, 48602, USA, (tel) (517) 755-0461. E-mail. Greek Islands Cruise Center, 4321 Lakemoor Drive, Wilmington, NC, 28405, USA, (tel) 800-341-3030, (fax) 910-791-9400. E-mail. Greenwaters Charters, Box 240297, Douglas, AK, 99801, USA, (tel) 907-780-6404, (fax) same. E-mail. We only take 4 people so the trip is very personal and a fun experience. Group Techna Inc., 202 Sauve West, Montreal, HLZ 2S6, (tel) (514) 953-9898. E-mail. Guenter Poeschmann Yachtcharter, Eggeweg 5, Bad Oeynhausen, 32549, Germany, (tel) ++49 5731 752610, (fax) ++49 5731 752611. E-mail. GPYC organizes crusing trips on comfortable sailing yachts in the Caribbean, Tahiti and the Seychelles. Trip information on our homepage. Non-sailors welcome! Gulf Island Charters, 230 - 8232 Scott Road, Surrey, BC, V3W 3N4, Canada, (tel) 604-596-4468, (fax) 604-596-3955. Gulf Tech, PO Box 1253, Kemah, TX, 77565, USA, (tel) 281-559-1677, (fax) 281-559-1677. E-mail. Hamburger Sailing, Noordeinde 108, Monnickendam, 1141 AR, Holland (Netherlands), (tel) 31-299-651-671, (fax) 31-299-656-275. E-mail. Harbor Sailboats, 2040 Harbor Island Drive, Suite 104, San Diego, CA, 92101, USA, (tel) (619) 291-9568, (fax) (619) 291-1473. E-mail. Sailing Yacht Charters from 22-46 feet. Featuring new yachts from Beneteau, Catalina, and Hunter. Western regional sailing school of the year. Corporate team building events. Helios Luxury Travel Services, Soimonovskiy pr-d 7/1, office 16, Moscow, 119034, Russia, (tel) +095 202 55 95 91, (fax) +095 202 55 98. E-mail. Yacht charters and sale all over the world. Motor,sailing, catamarans and etc. Hellasyacht, D Nika 98, Katerini, 61100, Greece, (tel) 003035128938-003215517639, (fax) 003215527358. E-mail. Hinckley Yacht Charters, Shore Road, Southwest Harbor, ME, 04769, USA, (tel) 207-244-0122, (fax) 207-244-0156. Holiday Yacht Charters, P.O. Box 289, Hanover, MA, 02339, USA, (tel) (888) 829-5017, (fax) (781) 829-5018. E-mail. Hustler Charter Boat, PO Box 4976, Kailua-Kona, HI, 96745, USA, (tel) (800) 982-0103, (fax) (808) 329-6444. E-mail. Il Delfino Tours, C.A., Av. Ppal de la Castellana, C/ Calle Los Granados,Qta. Catatumbo, Caracas, 1060, Venezuela, (tel) +58.2.2675175, (fax) +58.2.2656021. E-mail. Ilala Yacht Charter, Phuket, Thailand, (tel) +66 1 893 7780, (fax) +66 1 893 7780. E-mail. Exclusive sailing and diving yacht charters in South East Asia: Andaman Islands, Thailand, Burma, Malaysia. International Yachting Holidays, 6169 North Pascola Circle, Tucson, AZ, 85718, USA, (tel) (800) 835-7090, (fax) (520) 299-2150. E-mail. Worldwide yacht charters available. Yachts from 40' to 280' in power and sail. Competitive prices. Fully crewed or bareboat (flotilla only). Internet Yachting Services, P O Box 8791, Mandeville, LA, 70470, USA, (tel) 504-867-8023, (fax) 504-867-8024. Interpac Yacht Charters, 1050 Anchorage Lane, San Diego, CA, 92106, USA, (tel) 619-222-0327, (fax) 619-222-0326. E-mail. Island Charters, Liberty Marina, 64 Old South River Road, Edgewater, MD, 21037, USA, (tel) 800-844-4204, (fax) 410-266-8309. E-mail. Worldwide charters, bareboat or crewed, of sailboats, trawlers, and motoryachts from 35-175ft.. Since 1981, our experienced consultants have provided worryfree vacations in any island location. Island Charters, Inc, 1 Lady Jane's Way, Northport, NY, 11768, USA, (tel) 516-754-3000, (fax) 516-754-3102. E-mail. J-Class Management, 28 Church Street, Newport, RI, 02840, USA, (tel) 401-849-3060, (fax) 401-849-1642. Jenny Beck Charters, 224 Greenland Beach Road, Baltimore, MD, 21226, USA, (tel) 410 255 9597. E-mail. Fishing charters on the Chesapeake Bay or in Baltimore's Inner Harbor. Fish along side of history. All tackle and licenses are provided for you. Jo Bliss, Inc., 757 SE 17th Street, Ft. Lauderdale, FL, 33316, USA, (tel) (954) 522-0611, (fax) (954) 761-2342. Jody Lexow Yacht Charters, 26 Coddington Wharf, Newport, RI, 02840, USA, (tel) 401 849-1112, (fax) 401 845-8909. E-mail. In business since 1980, we are an independent charter brokerage representing sail and power yachts worldwide, as well as barges on the inland watersways of Europe. jolly mon sailing, 47-815 Via Nice, La Quinta, CA, 9223, USA, (tel) (619) 564-7724, (fax) (619) 564-2824. Jubilee Yacht Charters, P.O. Box 1358, Osprey, FL, 34229-1358, USA, (tel) 1-800-922-4871, (fax) 941-966-5192. E-mail. Independent charter brokers representing luxury crewed yachts and finest bareboats, worldwide. Personally inspected. Competitively priced. Jubilee Yacht Charters, Inc., 11 Orchard Hill Road, Newtown, CT, 06470-2225, USA, (tel) (800) 470-8847, (fax) (203) 270-9998. E-mail. Charter yacht brokers representing luxury crewed yachts and finest bareboats around the world. Sail, power, mega and barges. Personally inspected and competitively priced. June Montagne Yacht Charters, 1112 Weston Rd #115, Fort Lauderdale, FL, 33326, USA, (tel) 800 972-3042 / 954 217-2992, (fax) 954 384-1553. E-mail. Personalized yacht charters, sail or power, worldwide. Karadeniz Yachting, UGOR Sok, #10, Kagithane, Istanbul, Turkey, (tel) 011-90-212-220-6965, (fax) 011-90-212-220-8383. Kavas Yachting, 20-22 Koritsas Str., Alimos 174 55, Greece, (tel) +301 984 9961, (fax) +301 981 7248. E-mail. Established in 1985 and a well-respected charter operator in Greece with agencies all over Europe.